If you have never made French Onion Soup before, then you are missing out. It’s totally uncomplicated and well worth a try. 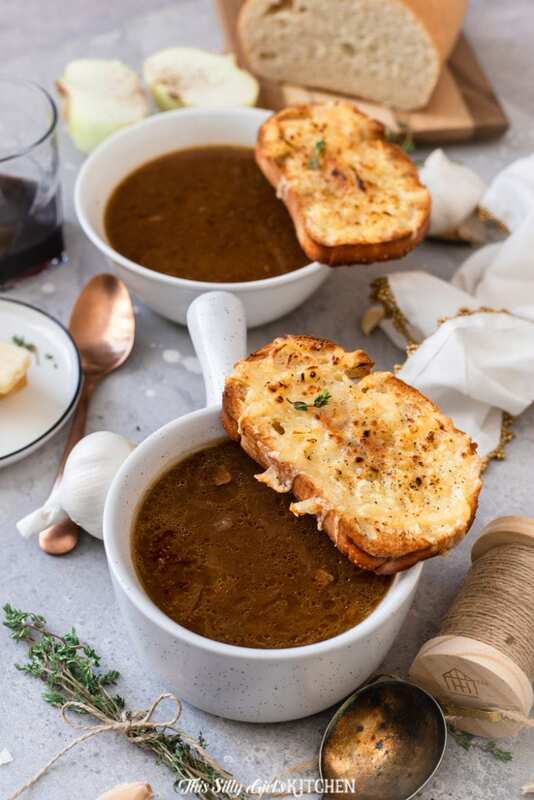 I know it’s January and everybody has already probably had enough soups and salads, but hear me out, because this French Onion Soup is so decadent and hearty, you’ll be happy you made this. My French onion soup recipe is special. Appliances mentioned in this post were supplied for free by GE Appliances for review, all opinions are 100% my own. It has a little-added twist, but this recipe is perfect for a cold winter’s night. It’s robust and flavorful and it’s a really great recipe to keep in mind if you have a romantic Valentine’s Day dinner planned. 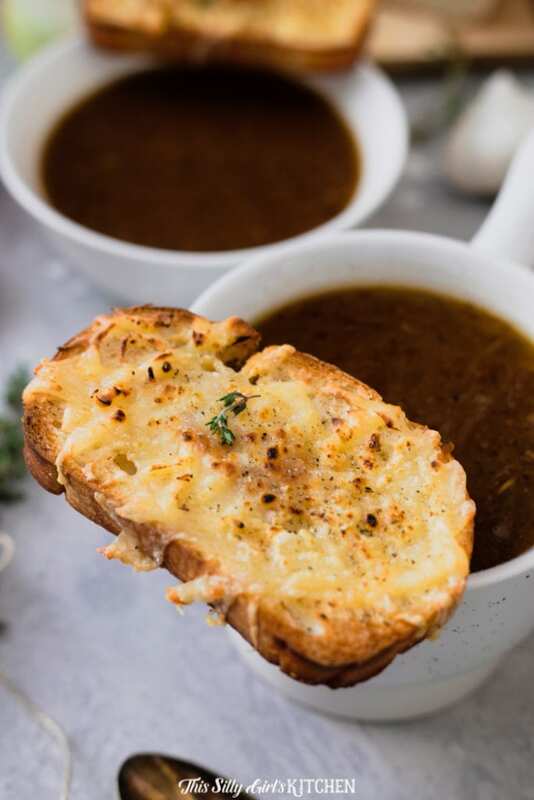 It can make a really great crock pot French Onion Soup as well! If you have never had French Onion Soup before, you are missing out. 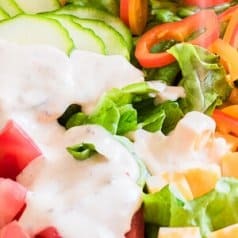 It’s totally uncomplicated and well worth the effort to make this recipe yourself and give it a try. French Onion Soup is basically made with beef broth and caramelized onions. What most characterizes this distinguished soup is the gratinéed top, which is a golden crust of cheese and crouton. Click here for the best tomato soup recipe! How Do You Make a French Onion Soup Top? For the traditional distinct topping of a French Onion Soup is very easy to create. You simply finish the soup in a preheated broiler. Pour the French Onion Soup into crocks and place on a rimmed baking sheet. 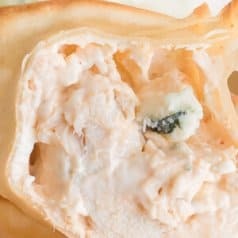 Top the soups with toasted bread and cover with cheese or a cheese blend before placing them in the broiler to melt and bubble for about five minutes until it creates a crusty seal. However, I have added a step that makes this easier for home cooks – a gruyere crouton you can serve on the side as a crispy dipper or float right on top of the soup! GE Appliances were kind enough to send me their drop in electric range and dishwasher for review. 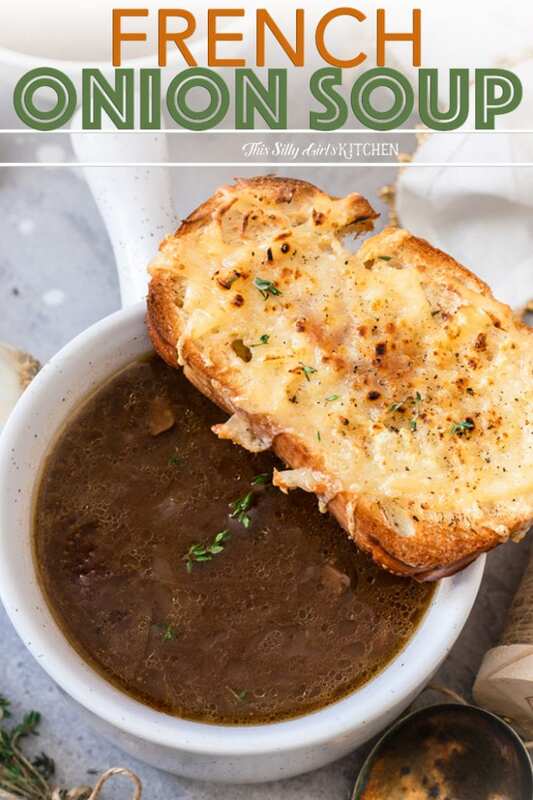 This baby is the perfect cooking companion for making a deliciously hearty French Onion Soup. The smooth appearance of the appliance notwithstanding, I really loved the usefulness of the electric range. 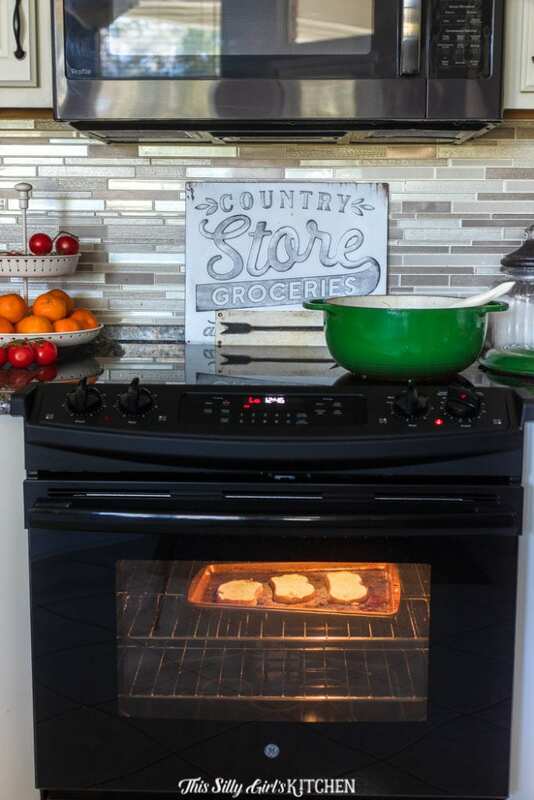 The ceramic top uses power boil on the front right burner making it faster to heat up and it was super easy to clean! The broiler element is a 6 pass and the oven has seven rack positions. I really enjoyed using this to make my French Onion Soup. I was so fortunate that GE also sent me an incredible dishwasher, because all that baked in cheese and onion could potentially be a nightmare to try and clean. It’s not something you want to think about during a romantic candlelight dinner! The top rack is adjustable, making washing taller cookware a breeze. Bottle jets, making hard to reach corners nonexistent. Deep clean silverware jets, special jets just to target the silverware – no need for scrubbing beforehand now! GE appliances are so intuitive and have such amazing features, so this little project turned out to be a blast. Okay, back to the cheesy goodness of my French Onion Soup recipe. Typically when you make a French Onion Soup, you want to use Gruyere or a blend of cheese that heavily relies on gruyere. Gruyere is a nutty and creamy cheese that increases in complexity and aggressiveness as it matures. Basically a fancier Swiss cheese! After about 5 months it begins to take on more earthy tones and a slightly gritty texture. You would normally slice the cheese. However, I like to do my recipe a bit differently and I shred my Gruyere. Is French Onion Soup Actually French? 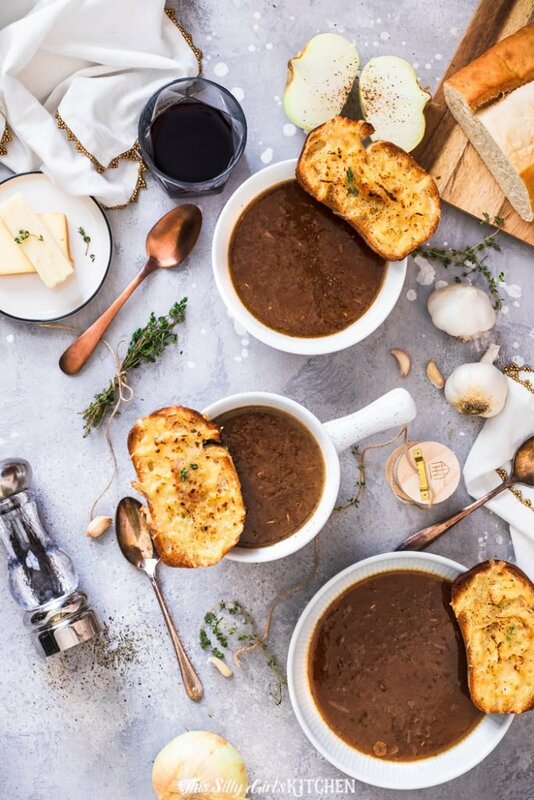 According to Wikipedia French Onion Soup as we know it today originated in Paris in the 18th century, although the crouton on top is ancient in origin and onion soup dates back to the Roman Empire. 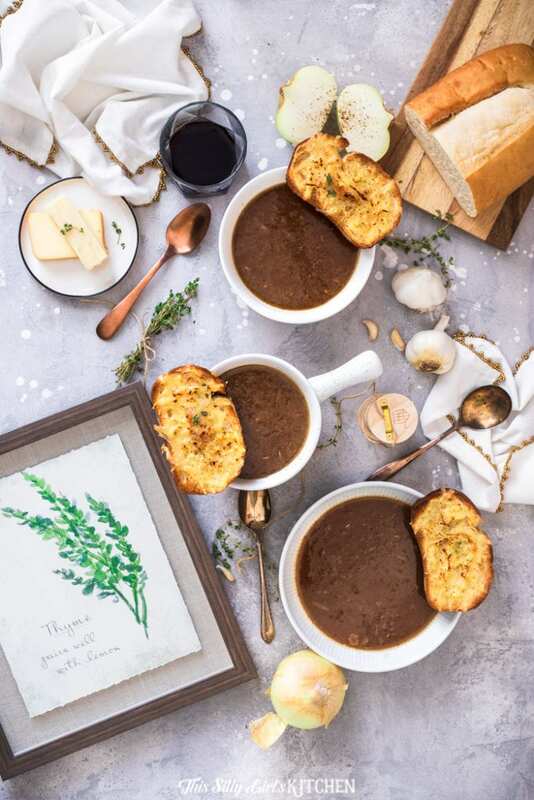 French Onion Soup as we know it today was popularized in America in the 1960s when interest in French Cuisine was spreading. This soup makes a terrific starter for a romantic dinner. It’s really easy to make and it tastes amazing. The secret touch to my version of this classic is adding a touch of balsamic vinegar right at the end. 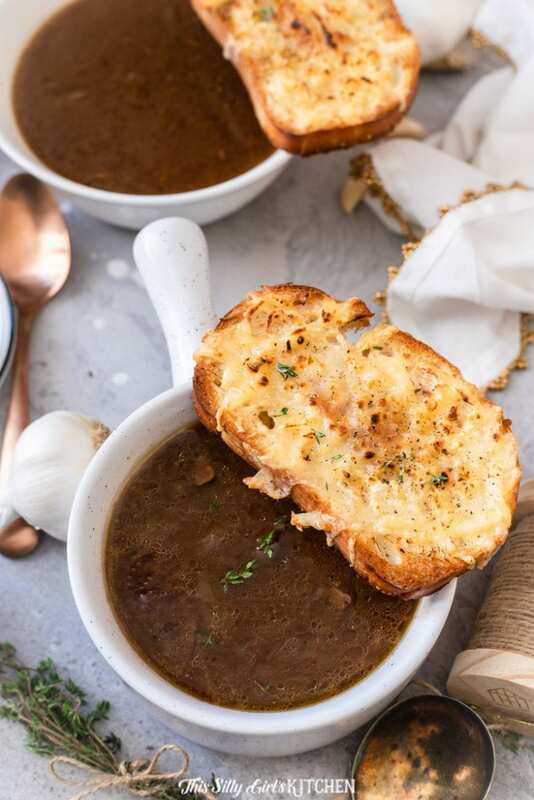 I really think adding the balsamic adds another depth of flavor, making this French onion soup super rich and delicious! 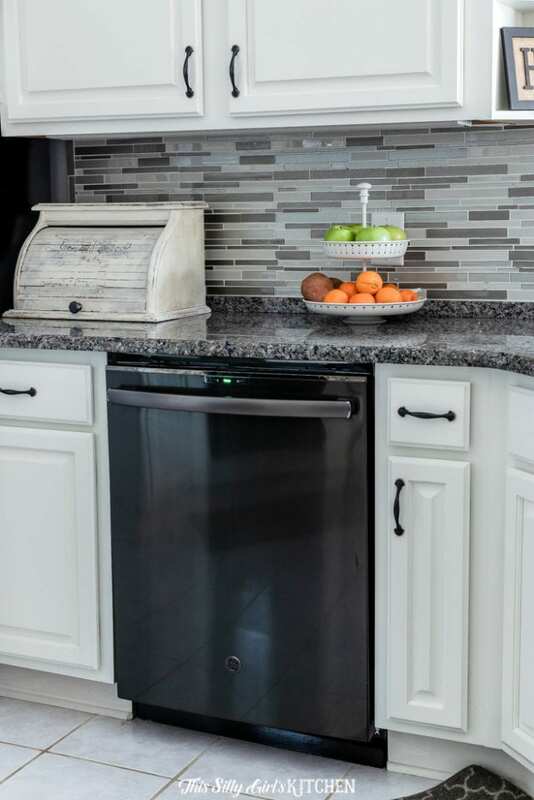 Thanks so much again to GE Appliances for sending over the drop in electric range and dishwasher for a review! It made cooking and cleaning so much easier. Looking for a lighter soup? Try my Low Cal White Chicken Chili! 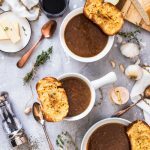 This French Onion Soup is so decadent and hearty, with a couple unique added twists! In a large pot with a heavy bottom, I like to use a dutch oven, melt the butter over medium-low heat. Add the onions and garlic, stir to coat in the butter. Add the bay leaves, thyme, salt, and pepper. Stir to combine. Reduce the heat to low and cook for two hours, so the onions caramelize. Stir every 5 or so minutes so they do not burn. It is ready when the mixture is a medium golden brown color. Add the wine and stir to combine, cook an additional 20-30 minutes stirring occasionally until the liquid is reduced by 3/4. The mixture will not become completely dry because of all of the butter, but we are cooking out the wine in this step. Discard the bay leaves and thyme. Sprinkle the mixture with the flour and stir to combine. Let cook, stirring occasionally for 5 additional minutes so the raw flour taste cooks out of the mixture. Add the stock a little at a time at first and stir to combine, making sure there are no lumps. After one quart is added, stir to make sure there are no more lumps and add the remaining stock. Bring to a simmer, simmer 10 minutes. Taste, adjust seasoning if necessary. Turn on the broiler in the oven to the lowest setting. Brush the bread with the olive oil on both sides. Arrange the bread slices on a sheet tray and toast in the oven, flipping halfway through one you reach your desired toastiness. Remove sheet tray from the oven and crank the broiler to high. Evenly distribute the cheese among the bread slices. Broil cheese bread until your desired color on the cheese, do not burn! 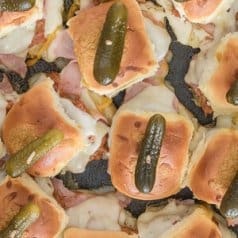 Serve with the soup, on the side for a more crunchy topping or floating on top of the soup for a more traditional style.